John Aird & Co LTD was founded by John Aird in 1896 in Darvel, Scotland. John Aird was originally a hand loom muslin but had a vision of starting a company that would supply laces and muslins to retailers throughout the country. 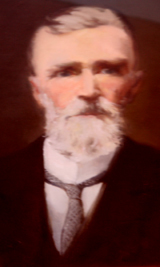 When John Aird & Co LTD was first opened in 1896 John Aird had three partners that helped him start running the firm, they were William Gemmell (who was his son in law), William Wilson and James Aird (his brother or cousin). In 1899 the partnership was dissolved and William Gemmell and James Aird were bought out. In due course William Wilson was also bought out and the firm was entirely owned by Mr John Aird and later by his family. The firm is still run by family to this date as John Aird is the great grandfather of Grant Winter whom is the current managing director of the firm and the great great grandfather of Mark & Andrew Winter whom are directors. After the death of John Aird in 1919 the company was left to the rest of the family members to run. In 1996 John Aird & Co LTD celebrated its centenary year and is still going strong.